For Designer Bootcamp, I've decided on a shawl using glorious Malabrigo Sock (colourway Marte #121). 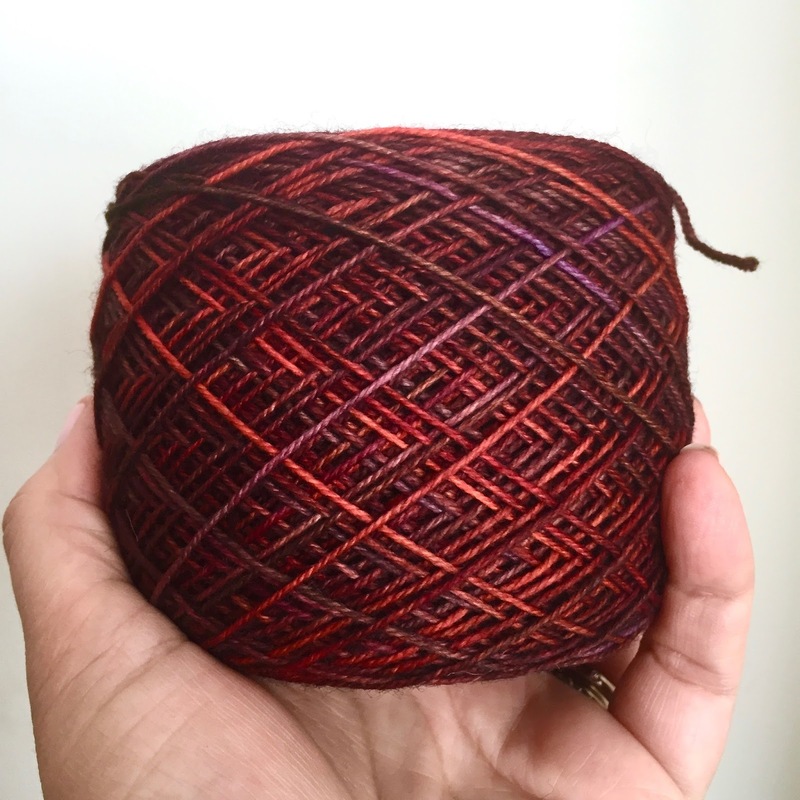 It's an autumnal design that's been on my mind for at least a couple of years but that I didn't get around to until now, and this is just the most perfect yarn for it. 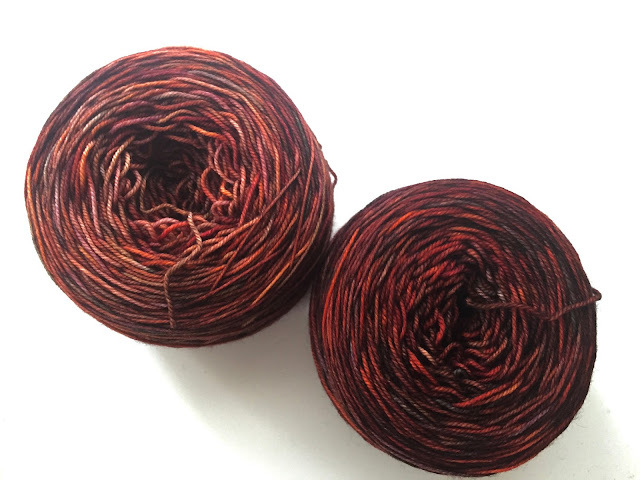 It's a Superwash Merino Wool yarn from Peru which has the most beautiful colours and subtle sheen. I love it! Ordinarily, I'd knit one row/round from each ball, alternating yarns throughout the shawl so that the colour difference isn't noticeable, but for this design I'm wondering if it would work to have the more 'faded' yarn on the extremities. It's representative of Autumn after all, and the beautiful rich colours of the trees, reflected here, do fade... Decisions, decisions. I'm heading off on a little road trip with my mum tomorrow. She's driving and I'll have plenty of time to knit so I'm hoping to cast on tonight. Wish me luck with those swatches and decisions! It's not the only trip planned for this summer, in fact I'll be taking a little break throughout August. But that doesn't mean the blog will be idle as I have a series of wonderful guest posters who will be sending you (virtual) Postcards throughout the month, each telling you a little about their location and how it influences their 'making'. I'm so excited to share them all with you. Of course, I'll also be popping in with more summer activities and updates, when I get the chance. See you soon! I need your mum to adopt me. Mine would go mental if I'd crochet/knit around her, she doesn't get the craft thing at all. Oh dear that's a shame. My mum was always knitting when I was a kid and I would have to wait for her to finish her row, or count. So she totally gets it!